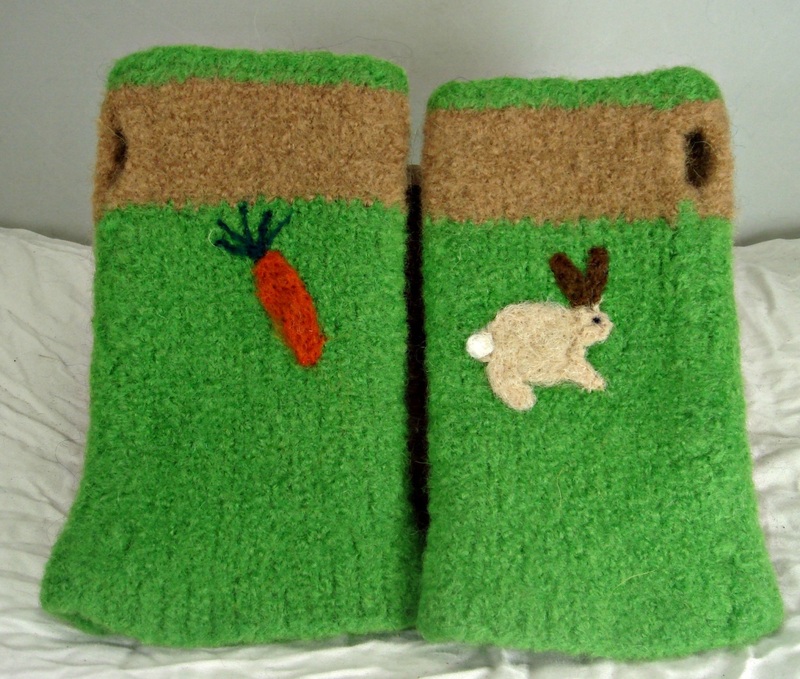 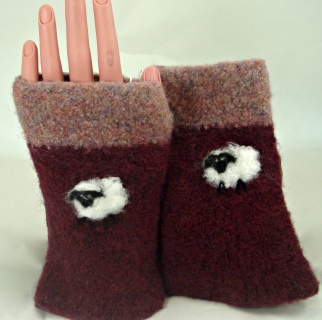 Below are gloves of wool and alpaca. 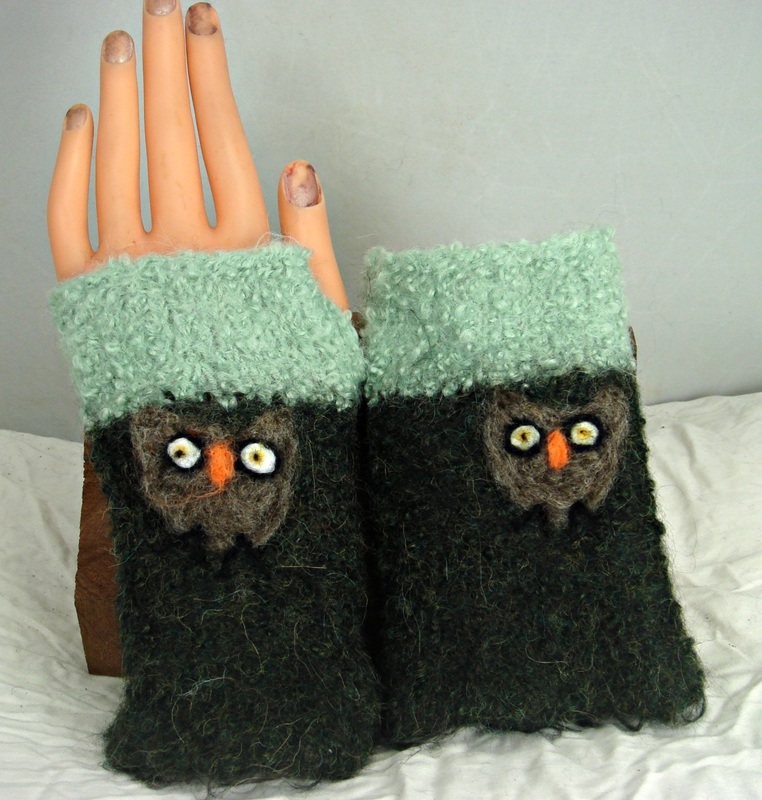 These gloves fit almost any size hand. 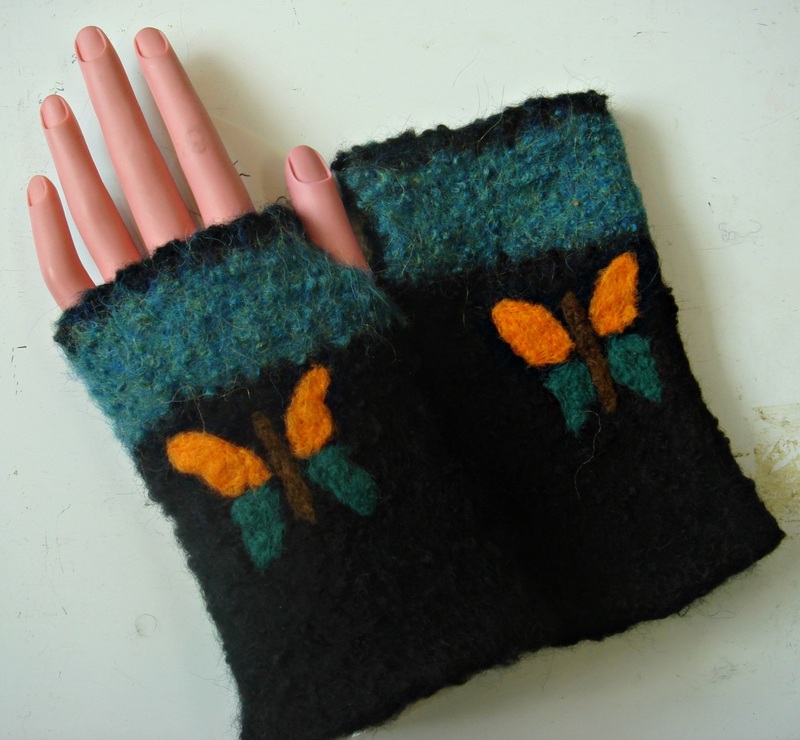 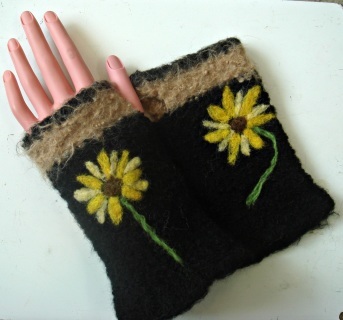 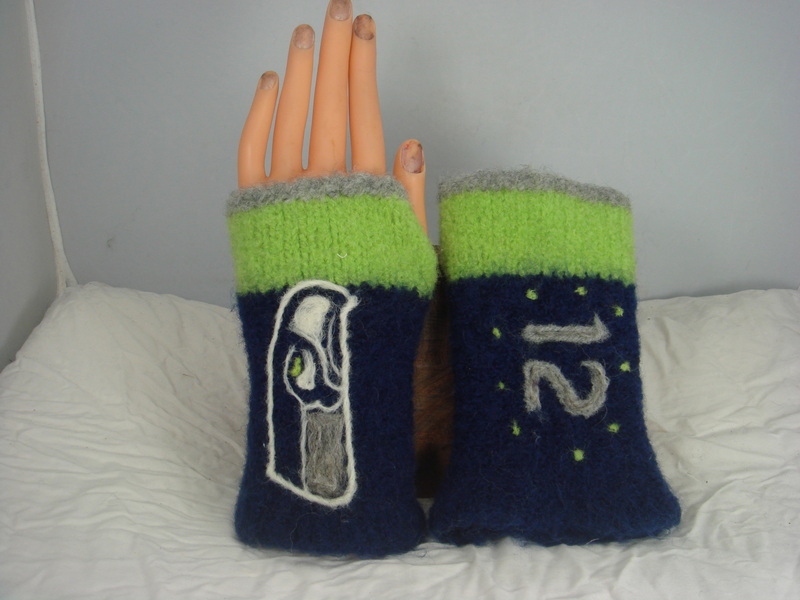 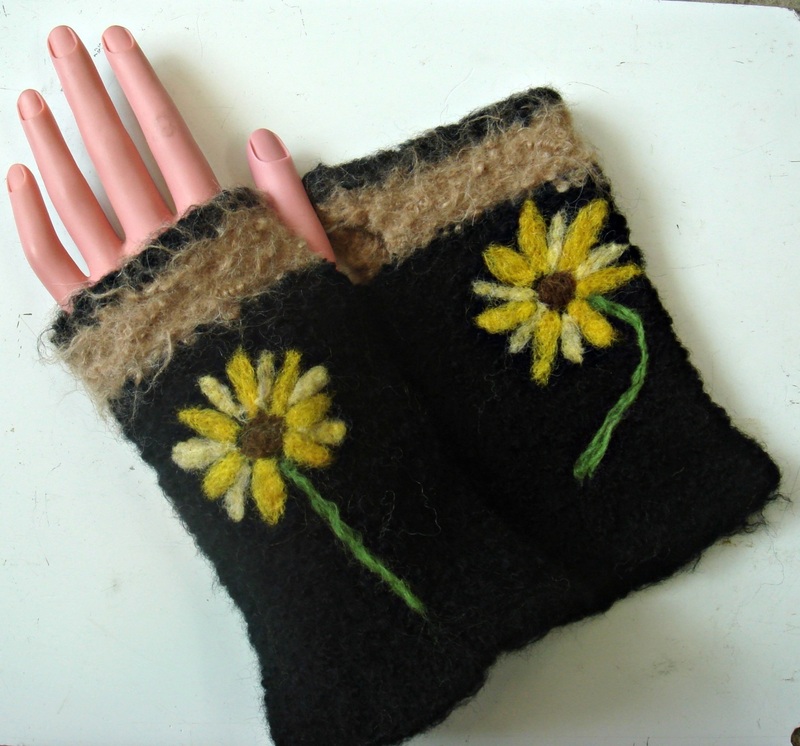 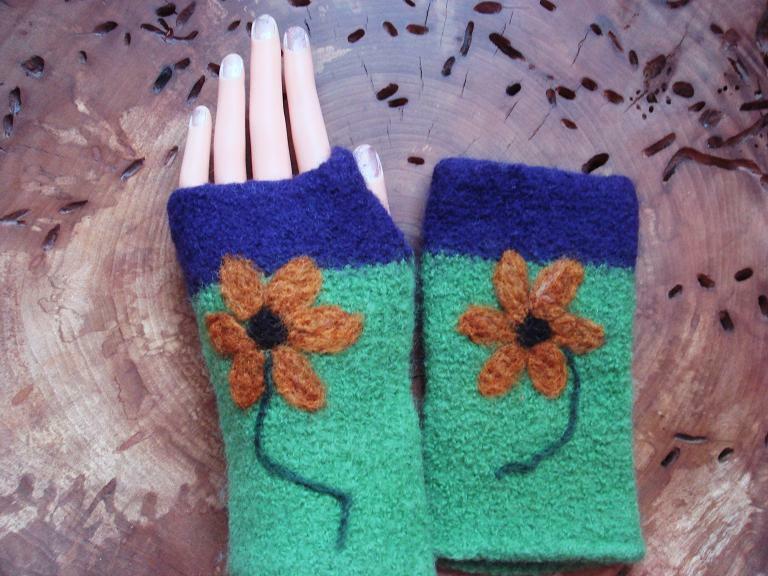 Felted gloves conform to your hand as you wear them; sizing is not necessary. 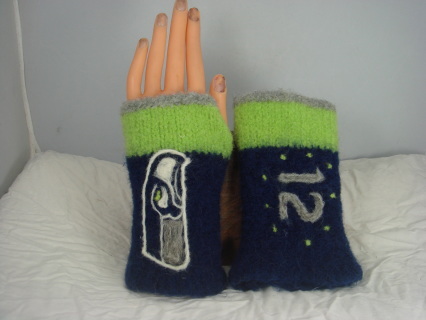 If you want them custom sized, I will do that. 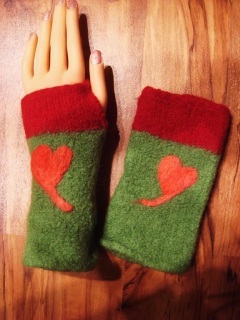 Gloves measure approximately 8",6" or 4" long and 4" wide. When wool is felted, it melts the fibers together and becomes soft, NOT itchy like wool. The Alpaca gloves are sooo soft and luxurious!